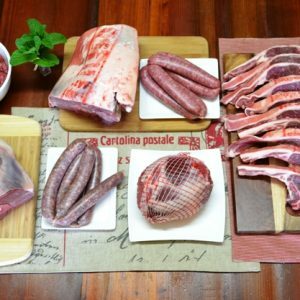 Choose from our selection of organic lamb online below. 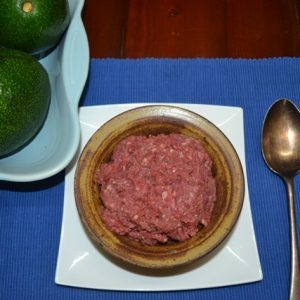 For our entire mince range, please see our organic mince page. 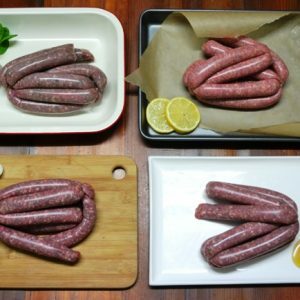 For our entire sausage range, please see our organic sausages page. 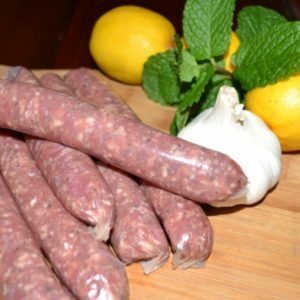 It’s commonly thought that lamb (much less organic, grass fed lamb) is just too expensive for the average family. So what’s a ‘lamb-lovin’ Aussie to do? 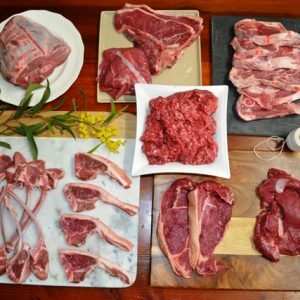 Our lamb packs start at a low $13.45/kg – where you pay the same overall price whether it’s a tasty lamb leg roast or tender loin chops. And you don’t even need to purchase huge amounts of lamb to enjoy the savings. There are three different pre-selected lamb packs available – from a perfect BBQ lamb pack to a roast-lovers heaven. 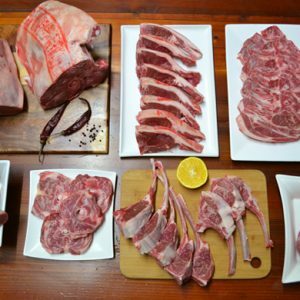 So whatever your lamb weakness, we’ve got lamb packs that lend themselves to any occasion or cuisine. 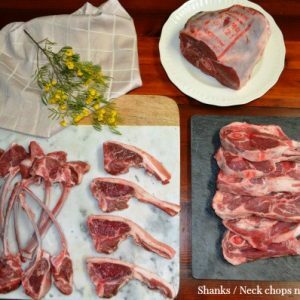 Our lamb packs are either half lamb (7kg) or whole lamb (15kg) portions, which fit comfortably into the smallest of freezers. 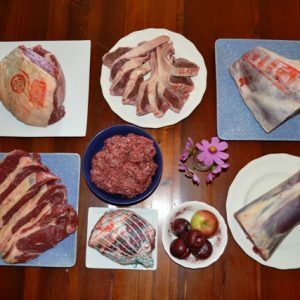 No matter the pack type or quantity, each pack has cuts from both the forequarter and the hindquarter sections of the lamb. 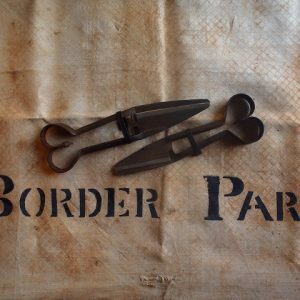 This way you get to experiment with lesser-known known cuts and also have access to the popular cuts. 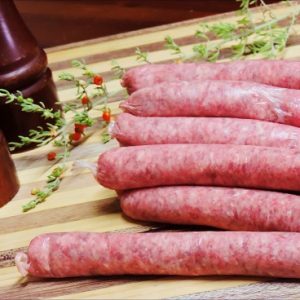 If you’re after simple yet satisfying food, our organic lamb sausages are well worth a look. 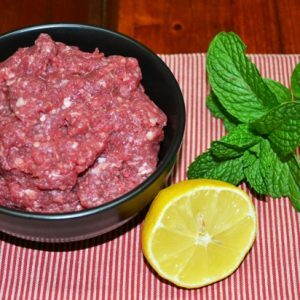 Or if the versatility of lamb mince is more your style, we’ve got several sizes available, including a ‘ boosted’ version packed full of extra nutrients! And for those interested in maximum goodness, we have lamb organs, bones and suet. 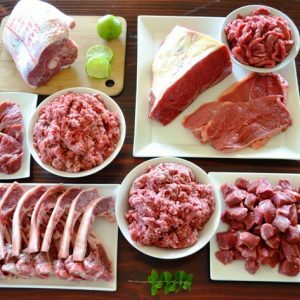 For those who are health-focussed, it’s comforting to know that lamb is one of the best known sources of conjugated linoleic acid (CLA – a naturally occurring fatty acid that helps fight cancer and boost immunity)? 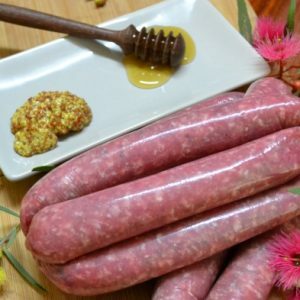 You can read interesting articles at The World’s Healthiest Foods and the Healing Gourmet. So, if you’re after meat with a delicate flavour (and tender to boot), then our solely pasture-fed lamb is well worth a closer look!